As we get older, we all begin to experience more aches and pains throughout our body. For many of us, those pains include lower back pains, which can be the result of spinal degeneration. Chiropractic care can help maintain the health of your spine and prevent spinal degeneration. But before we get into how chiropractic care can help the health of your spine, let’s talk about how the spine is structured. The spine contains bones called vertebrae, each of which is separated by fibrous discs. The discs cushion the vertebrae, allowing the bones to move freely and pain-free. This spinal structure is held together by bands of ligaments and muscles that help us maintain our posture and allow us our range of motion. As we age and put years of wear and tear on our bodies, our spine starts to build up scar tissue and as a result begins to lose its flexibility. A main reason for this lose in flexibility is the shrinking of discs in the spine, which prevents the bones from moving freely. In some cases, joints in the spine can become completely immobilized due to untreated injuries or years of poor posture. These inflexible joints lead to decreased flexibility and chronic pain. 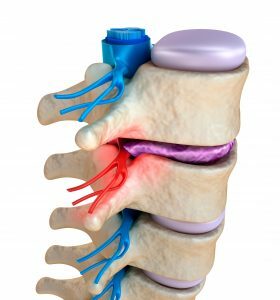 Furthermore, the areas of the spine above and below the immobilized joints overcompensate, causing them to become overworked which leads to additional pain. Even worse is the fact that the pain may not be limited to the spine. Injuries in the spine can lead to pinched or irritated nerves that lead to other parts of the body. Now that we know how the spine is built and how pain occurs in the spine, let’s focus on how chiropractic care can help prevent these pains. Chiropractic care is effective in helping to keep you flexible as you age and also in preventing spinal degeneration. When you visit your chiropractor, he or she will find those areas in your back that have become fixated or immobile and adjust them, which stretches the joints and breaks up scar tissue. Adjustments also activate specific nerves in the spine that break up pain signals and help the muscles in that area relax. By using chiropractic care throughout your life, to keep your spine flexible and healthy, you can prevent pain and potential disability later in your life. If you’ve started to experience aches and pains in your back, it is best to act now to prevent more serious and potentially chronic back pain later in your life. If you or someone you know has recently begun experiencing back pain or if they’ve been dealing with untreated back pain for a while now, give Advanced Chiropractic & Rehab a call today at (330) 726-7404 to schedule a free consultation to see how we can help. We have been servicing the Youngstown and Mahoning Valley area since 2001 with convenient locations in Boardman and Hubbard. At Advanced Chiropractic & Rehab, we are a multi-disciplinary rehabilitation group that treats work comp injuries, whiplash, sports injuries and specializes in much more than just lower back pain.